Downtown Sudbury, home of the Sudbury District Energy System. 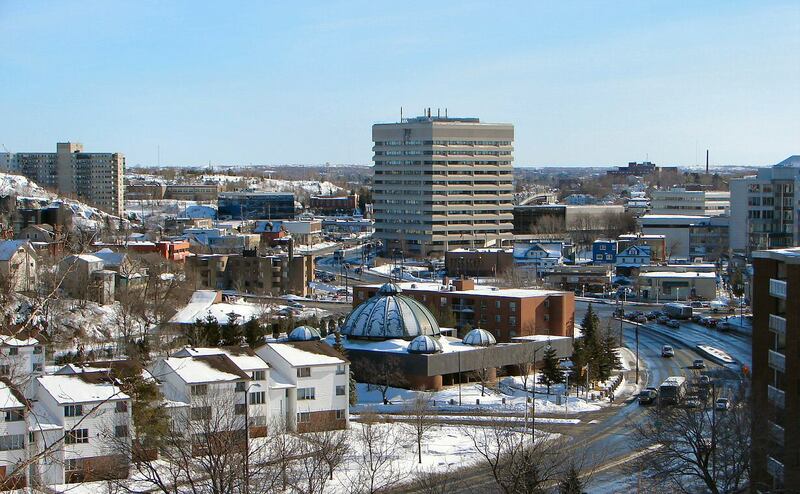 Sudbury District Energy selected FVB Energy Inc. to provide a variety of business development, marketing and engineering services for this district energy system, which provides heating services to 7 government and commercial buildings in downtown Sudbury. The system started operations in 1999. • Combined Heat & Power. The CHP plant utilizes two gas fired combined heat and power engines to produce 5 MW of electricity and 85% of the district heating system’s annual thermal energy requirements. • District heating. The plant has a capacity of 31 million Btu/hour. The district heating system utilizes two natural gas fired boilers and a heat recovery boiler to provide 120 °C hot water. The distribution system utilizes European Standard (EN 253) thin wall steel pipe. • District cooling. Multiple linked plants provide sufficient capacity to provide cooling for the buildings with electrical centrifugal chillers. The distribution system utilizes North American Standard plastic pipe (HDPE).